Demand for the influenza vaccine has soared by 25-30 per cent this season over the same period last year, authorities say. Unprecedented demand for the influenza vaccine has created a shortage of the potentially lifesaving injection across Australia. 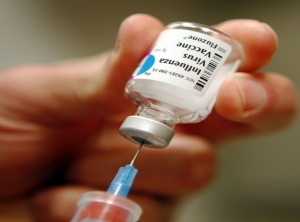 A record 5.1 million doses of the seasonal flu vaccine were brought into the country under the National Immunisation Program. But an up to 30 per cent surge in demand ahead of the winter season has impacted supplies, federal health authorities said on Monday. "According to states and territories, compared to last year, there has been a 25-30 per cent increase in demand," Acting Chief Medical Officer Dr Tony Hobbs said in a statement. To date, the Therapeutic Goods Administration has released 9.6 million doses of influenza vaccines under the immunisation program, state programs and the private market. In 2017, the TGA released 8.3 million doses. "The Department of Health is working closely with states and territories to monitor availability of vaccines," Dr Hobbs said.